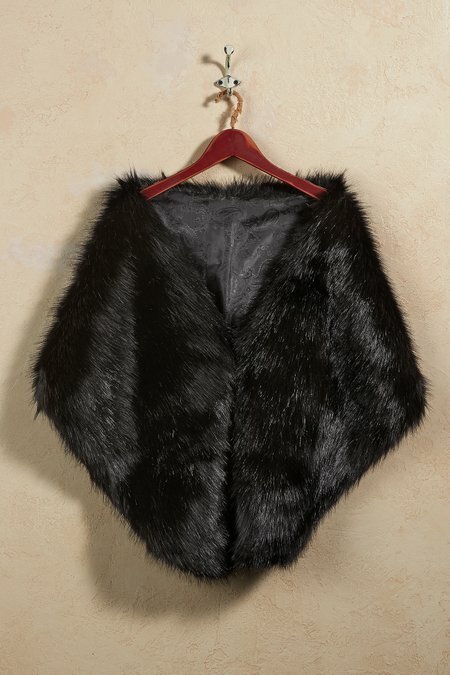 A plush faux fur stole brings a soft, something special to your holiday style. Lined in luxe satin with a hidden hook-and-eye closure, its touchable texture and vintage-inspired glamour will invite admirable glances and compliments galore. Acrylic/Modacrylic/Poly, Poly lining. 67" length.